With Valentine’s Day right around the corner, many get stumped as to what to buy. Sure, there’s the standard flowers, a card, and some chocolate, but why not capture the love that our two wheeled friends bring us? Riding bikes has a way of unleashing powerful emotions. You know, like the sense of power you get when the wind is at your back. Or, the sense of wonder and appreciation you feel upon glancing at our natural environment. Since bike riding gifts our spirits and bodies with so much, why not pass on the chocolate this Valentine’s Day and opt for healthier options instead? Following are our top picks for a healthy Valentine’s Day. Nutrition matters. We all know it – but that doesn’t mean we eat and drink what we know we should. And athletes suffer from poor choices too. The symptoms of poor nutrition rears its ugly head in many ways: via muscle cramping, struggling to complete workouts, and unsuccessful race efforts. Eliminate all the frustration with improved bike nutrition. At Peak Cycles Bicycle Shop, we have several options including nutritional products just for women. Specifically, Osmo nutrition – This product is specific to women offering three options: active hydration, acute recovery, and preload hydration. Other favorites for both men and women are Scratch Labs and Honey Stinger Products. Is your cyclist a data junkie? Then, this is the ideal gift for your favorite cyclist! The main idea behind using cycling training tools is to dial in training to optimize performance as it relates to specific goals and objectives. Our post, The Best Training Aids to Launch into Spring Cycling, dives into the benefits of training with power. As for which power meter to purchase, consider our most popular one, Stages Power Meters. Stages Power meter is the lightest, smallest, most technologically advanced unit available today. Another option is the Pioneer Power Meter. A third option is a company that’s been around for a while now – PowerTap Power Meter. Gift a Bike fit – Does your cyclist complain of hands falling asleep while riding? Or shoulder or neck pain after a long ride? A bike fit isn’t just for professional riders – they are for anyone who rides whether they are a beginner or advanced rider. A bike fit helps ensure riding comfort but it also impacts technique which is crucial to preventing overuse injuries and how an athlete rides. Consider the gift of giving your favorite cyclist a bike fit for Valentine’s Day. Not only can we help them with the fit, but we carry all the bike parts required to get the bike in the very best setup for their riding needs. Give us a call (303) 216-1616 or stop by the shop in Golden to schedule your bike fit. Gift a fat bike demo! That’s right! Fat bikes are all the rage – snow or no snow! They thrive in snow, sand, desert, bogs and mud as well as riding what is considered normal mountain biking. Book a fat bike demo for Valentine’s Day and brighten up the normal winter riding program. Who can’t smile while riding a fat bike? And last but not least, what is a cyclist dream gift? Bike parts! As a reminder, our shop BikeParts.com offers a huge selection of road bike parts, mountain bike parts, BMX bike parts and more. If you need it for your bike, then we have it! Because we sell our bicycle parts online, we are able to help customers all over the world. In addition to bike parts, we also carry a large selection of cycling accessories. Share the love with your favorite cyclist and your bike! Happy Valentine’s Day from all of us a Peak Cycles Bicycle Shop! You haven’t forgotten about your two wheeled friend, now have you? Let’s think about this. The holidays are for sharing gifts celebrating the special relationships you have with others. Doesn’t your bike create fun, fitness, and basically, the greatest feeling in the world for you? Show some love to your bike this holiday season. Get it some presents! 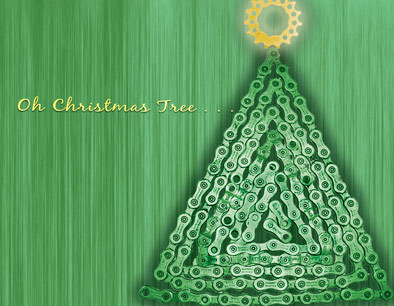 Your bike’s #1 holiday wish would be to drop the weight – on bike components that is! The trick is where to start? Since you already feel bad about forgetting your bike on your holiday list, you might as well opt for the best weight reductions you can get for your bike. Consider getting a high quality wheel set. A good wheel set impacts ride quality, ease of pedaling, reliability, and functionality. So, get the best you can afford. Add some new, lighter tires on your wheels and your bike will thank you for the bling! Another option is to reconsider your crank set and pedals. You can shave some weight there while also selecting lighter handlebars, a lighter saddle, and seat post. Loosing weight never seemed so easy! Once you get lighter bike parts on your bike, not only will you notice how nice everything is, but your bike will gift you right back with another season of joyful riding. Here’s to sharing the holiday spirit with our two wheeled friends! Happy Holidays! The Holiday Season is full on and if you have a cyclist or occasional bicycle rider on your Christmas list, it may be difficult to find just the right bike-related gift. But have no fear! We’ll help you blaze through your holiday shopping list and keep the holiday cheer. 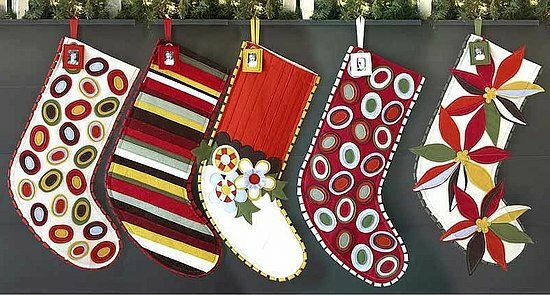 For starters, we’ll focus on small things — stuff that fits in a stocking. Socks: Did you know cyclist like to wear their cycling socks even when they aren’t riding? Why? Because they are so comfortable. Pick out a pair of socks you like for your cyclist and maybe even get a pair for yourself! Gloves: Here’s another thing that every cyclist already has, but which every cyclist can always use more of. your cyclist can use on the bike. A gift for off the bike. Maybe your cyclist would enjoy a pint glass, a poster, or some other bike parts goodie. Now, for bigger items, are you unsure of what to get? Check out popular mountainbike bike parts and popular road bike parts on our website for gift ideas. Another option? Give a gift that’s easy on the pocket book and light on the bike with PEAK CYCLES BICYCLE CLOSEOUTS!!! With 5-70% off on top products and over 2200 closeout and overstocked items you’ll be sure find a few bicycle components or cycling goodies your favorite cyclist will enjoy! See how easy it is to purchase bike parts for your favorite cyclist? Happy Holidays!